Ronford Baker 53050 Atlas 50 Balanced Fluid Head. Complete with 150 m/m ball base, Mitchell (p/n RF.53050). The "Atlas" is a completely new design head, with a patented counterbalance system. 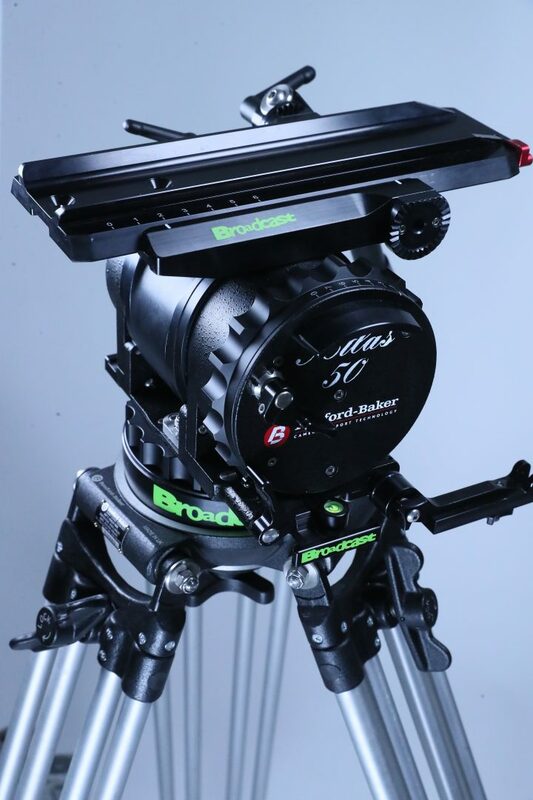 Capable of taking camera‘s up to 50 Kgs (110 lbs) @ 30 cm (12“) above the heads pivotal centre. Operated by a single control knob, from 0 – 100 %. Incorporating the well proven Ronford-Baker fluid system, with 15 stages of fluid control, on pan & tilt. With a zero (free) position. These give unprecedented smoothness & accuracy of control & balance under all situations.